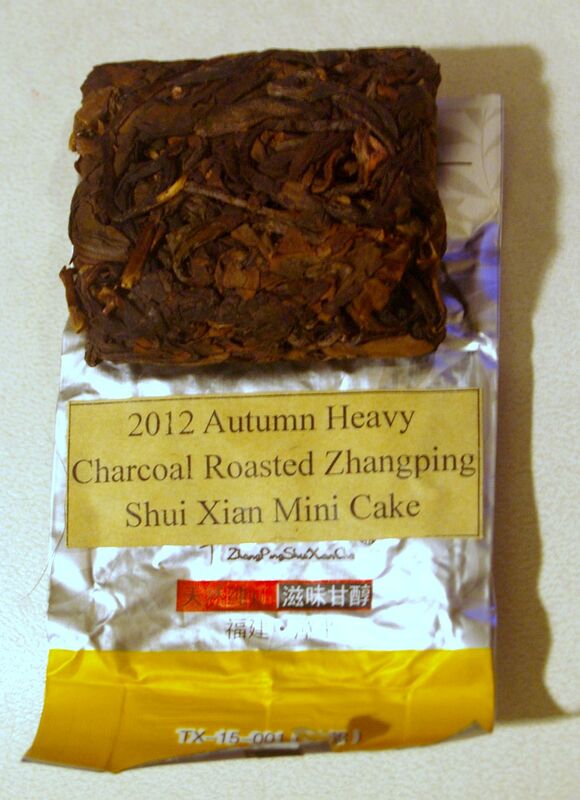 so the second mini cake-2012 autumn heavy charcoal roasted zhangping shui xian mini cake– from the famed Zhangping region, another version of narcissus or water sprite (with a fragrance similar to daffodil). another rarity-pressed oolong- the leaf is picked in late sept./early oct. and processed over a month with 8 steps including a stronger smoking/roasting than the last mini cake through a process handed down over at least 5 generations. a deep yellow liquor with a gentle malty/caramel aroma, round, mild, toasty and unctuous without any astringency or bitterness. reputedly “small bag of tea can be brewed for a whole day.” wow…! 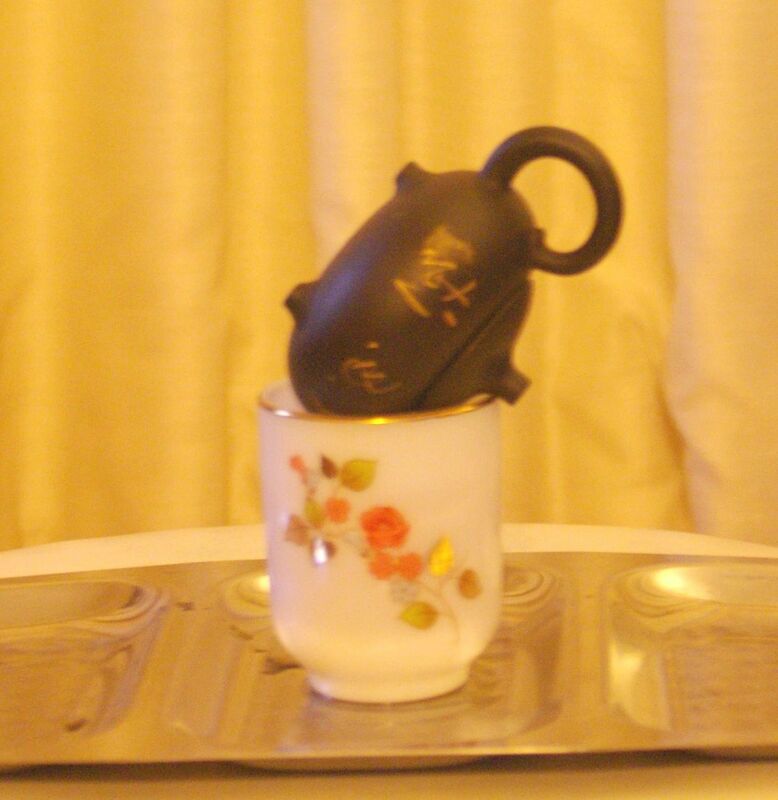 …and 2 aged ripe post fermented tea cake samples to go, followed by a battle off and order choosing….! i will be getting more of this to share…yep, that good i reckon..
how many more pots before sleep i wonder…. ?